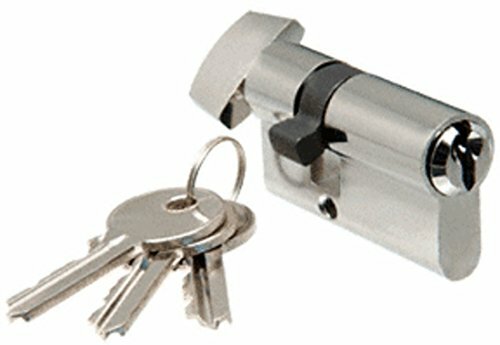 This CRL Standard Length Key Cylinder/Thumbturn works with all PTH311 Series Latches, except when the latch is used with a PTH314 Series Glass Mounted Latch Keeper on an inswing door. This requires the EC3 or EC5 Series Extended Length Cylinders at the left. The EC4 Series is only available keyed randomly.